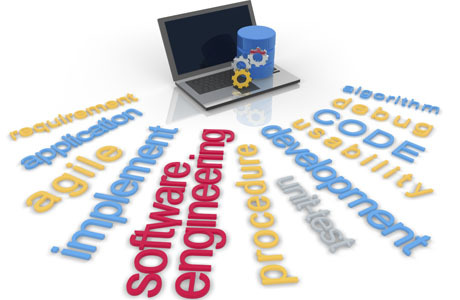 Qualified Data Systems (QDS) offers comprehensive Systems Validation solutions and managed services for software applications that help enterprises substantially lower costs and increase “Time-to-Value” by delivering rapid, predictable, and focused testing results. One topic that people throughout the enterprise can agree on is the importance of software quality and performance. Financial leaders look to rapid deployment and stable operation of applications post deployment as crucial to controlling costs. Operations personnel expect system implementations to provide for standardized, efficient, and robust execution of automated business processes. Sr. Quality and Regulatory staff relies on validated electronic quality systems to manage critical aspects of the regulated business. Sales and service operations depend on highly available, responsive solutions to meet customer expectations and enhance the overall customer experience. The information technology (IT) organization shoulders the responsibility to reduce the resources, effort, timeline, and costs required for validation and deployment. QDS’s Computer System Validation Center of Excellence solutions and managed services helps address these concerns by offering the capabilities to identify, integrate, and institutionalize enhanced validation processes to improve overall software quality and performance. The Computer System Validation Center of Excellence solution is not a single service or location. Instead, it is a repository of well-established quality assurance and testing practices and tools, delivered by QDS staff versed in the particular issues facing your organization. Using our AnyShore delivery model, we provide these resources in the manner that best meets your needs— on premise, onshore or offshore—to help reduce operational costs and improve system quality before delivery to production. Organizations face a variety of difficulties in validating applications and systems. Their core validation function may be loosely defined, as well as silo- or project-based, and the validation team may rely on funding from various departments. Validation processes can be manually intensive and inefficient. Internal staff may lack the required skills and knowledge needed for successful validation, increasing the risk of project delays and deviations. Traditional outside validation arrangements may suffer from difficulty in managing costs and service-level agreements. Provides enterprise governance and control, program management, validation planning, compliance monitoring and reporting; assists with definition and planning of the overall validation strategy, infrastructure, and framework. Establishes a comprehensive, consistent validation approach; standardizes formal validation processes, methods, tools, templates and techniques at the enterprise level based upon patient safety, product quality, and/or data integrity and other business risks. Compliance to regulated standards is build-in. Provides standardized tool sets designed to enable consistent, predictable and repeatable processes and outcomes. The Computer System Validation Center of Excellence solutions and managed services capitalize on QDS’s experience in helping companies succeed. The Center of Excellence is an example of how we apply our business and technology knowledge to the development of tools and methodologies that drive process improvement and operational efficiency. These offerings, delivered through our AnyShore model, can help companies lower costs, improve productivity, and increase customer satisfaction.